Bill Weigel Signs® has been your leading Custom Boat Number provider for nearly 40 years. 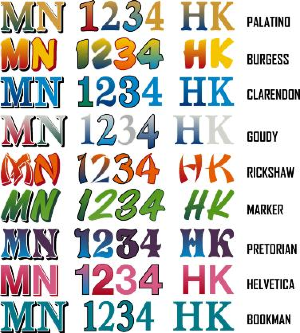 We do all forms of custom numbering and naming for Boats, Snowmobiles and ATVs. If you can ride it, we can letter it! We offer both customer direct and wholesale numbers. Please feel free to contact us with any questions you have. Bill Weigel Signs® is your complete source for any signage needs, no job is too small or too big. We offer fleet lettering, banners, nameplates, outdoor monuments, electric signage, auto dealership signage and much more.